StART is a group of Haringey residents and workers who want to see the St Ann’s Hospital site used permanently for the good of all our local communities. They have initiated a community-led and transparent process for a housing development, which puts local people in control while providing genuinely affordable homes, promoting health and wellbeing, and creating a green neighbourhood. 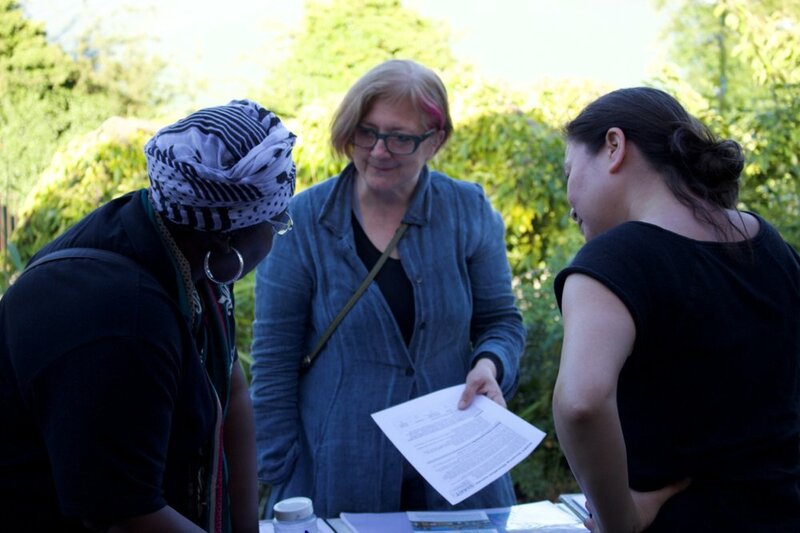 As part of this consultancy project The Ubele Initiative organized a film and food night about housing and gentrification on 22nd June 2018 with StART funding which has been secured via Bright Ideas and has been supporting the Goldsmiths, University London student – Bea - that was doing her placement in StART since March 2018. We supported StAR from March till June 2018. I'm studying a MA in Applied Anthropology and Community Development at Goldsmiths and I’m doing my placement in StART in collaboration with The Ubele Initiative since March, funded by Power to Change Bright Ideas. The aim of this placement was to engage with local groups of the borough in order to open StART to the wider community, increase its diversity and engage with young local people. This collaboration has been very useful for me in order to get to know more in depth about the population of the borough of Haringey and BAME local community groups. From the beginning, as part of StART Inclusion Subgroup I have developed outreach activities along with staff members from both, Ubele and StART, and being supervised by Yvonne Fields. While doing outreach within the local community, I have been able to contact and talk with local people about StART as well as get their feedback and concerns in regards housing issues. I became aware of how important is this subject for everyone, regardless their background. Housing crisis is affecting us all, the local community feels they are being displaced and people generally are really worried about it. We also organised a Film Night event at Wolves Lane Horticultural Centre on the 22nd of June under the theme of “Housing, Gentrification and Community Action” for the whole community of Haringey, and targeting especially young people, with the aim to encourage open conversations and discussions, as well as enjoying good food, music and some drinks. The event was a huge success and everyone participated actively in the discussions and really enjoyed it! I will be continuing with this placement developing activities for the Inclusion strategy of StART following up the outcome from the event until the end of July.